Karen Phillips, EVP of Ad Sales, at Viacom's HERE luncheon. 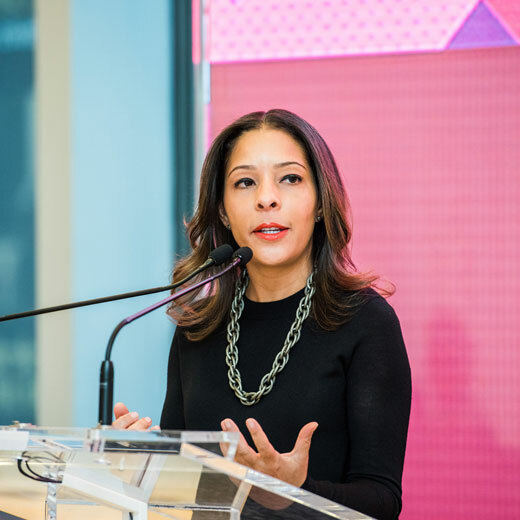 Daphne Leroy, VP of Strategy, Ad Solutions, at Viacom's HERE luncheon. Front row, left to right: Stephanie Fox, VP of Client Relations, Ad Solutions and Pam Kaufman, President of Viacom/Nickelodeon Global Consumer Products Back row, left to right: Jillian Schmidt, Analyst of Strategy, Ad Solutions; Bridget Sweeney, Analyst of Business Development, Ad Solutions and Courtney Oliver, Sr. Director of Human Resources, Nickelodeon. 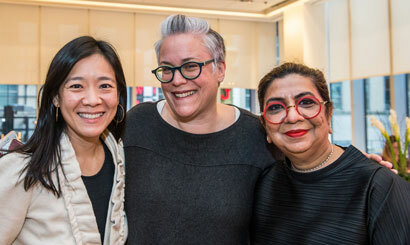 Melody Tan, Chief Operating Officer of Viacom International Media Networks; Ellen Dominus, EVP of Velocity Brand Partnerships and Sujata Luther, EVP of Consumer Insights, Nickelodeon. Marva Smalls, Executive Vice President of Public Affairs, and Chief of Staff for the Nickelodeon Group and Executive Vice President of Global Inclusion Strategy for Viacom, speaking at the HERE luncheon. 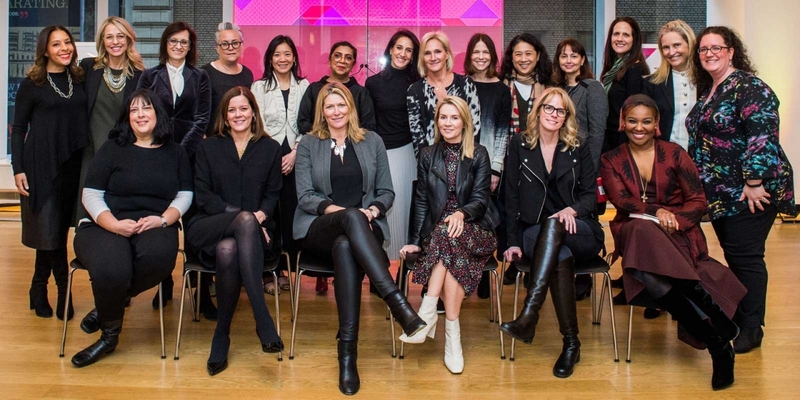 Left to right: Valerie Bischak, EVP of Ad Sales; Pam Kaufman, President of Viacom/Nickelodeon Global Consumer Products; Sharon Cohen, EVP of Nick Experience; Kelly Day, President of Viacom Digital Studios. 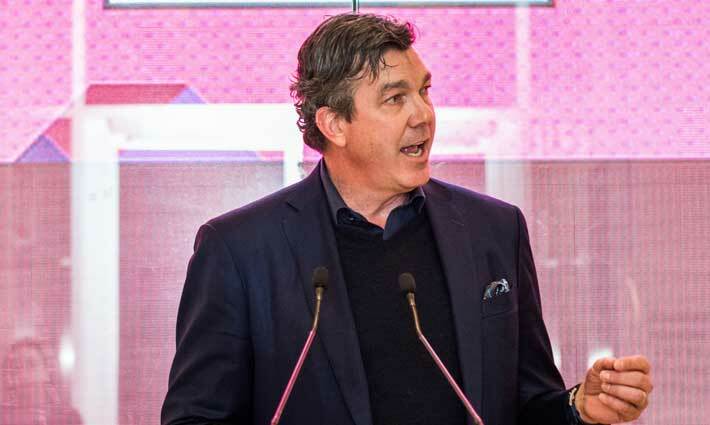 Sean Moran, Head of Viacom Ad Solutions, at the HERE luncheon. 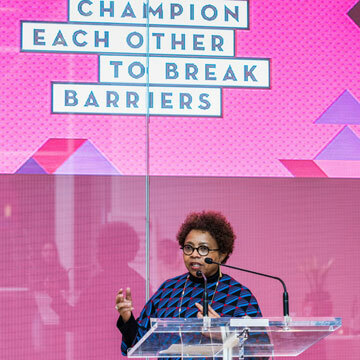 To celebrate Women’s History Month, Viacom is hosting a series of events tied to the theme “champion each other to break barriers.” It’s an empowering nod to the role individuals play in improving the diversity of voices, experiences, and identities that are represented at the proverbial (and literal) professional table. 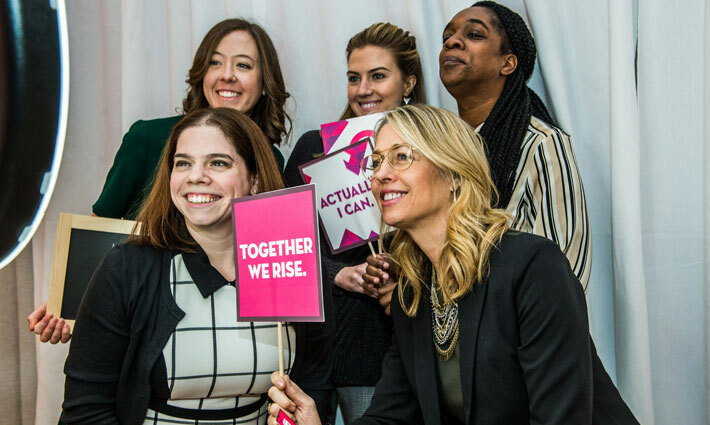 The need for individual and organizational support of women is hard to ignore, especially in positions beyond entry-level. A recent “Women in the Workplace” report from McKinsey & Co. and LeanIn.org found that for every 100 men promoted to manager-level positions, only 79 women receive the same opportunities, with only 38% of managerial positions in today’s workforce held by women. To foster honesty and conversation around the topic, two Viacom internal groups—ReThink, a Viacom Ad Solutions speaker forum that spotlights industry thought leaders and innovators, and HERE, the company’s employee resource group for women—co-sponsored an event where the company’s female executive leaders could share their professional journeys in intimate roundtable conversations. 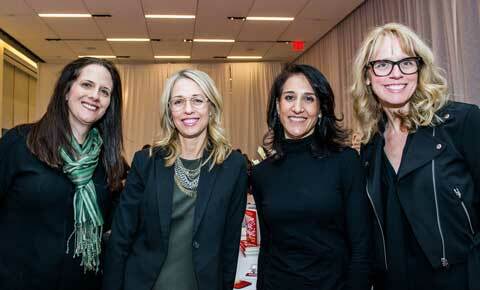 Attendees included women from Viacom’s Ad Solutions group as well as other business units and members of HERE. 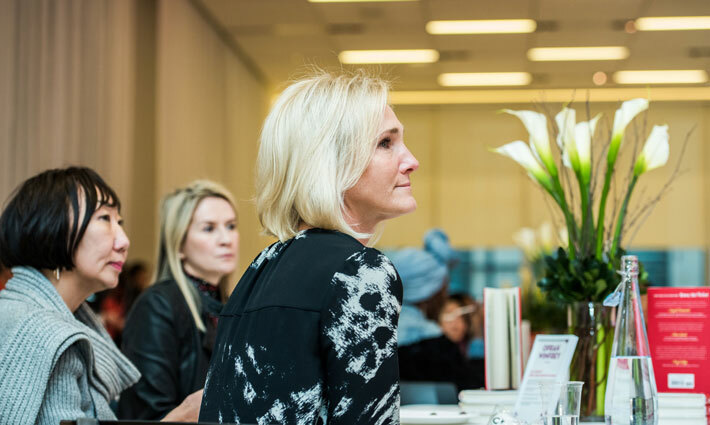 What advice do you have for women who are aiming for leadership positions? Identify the qualities and behaviors in leaders that you admire, and model them. And think of it as a buffet, as different people have different attributes, talents, and skills to learn from, so you don’t have to look to only one person for inspiration and guidance—you look to as many as you like. Put as much thought into developing your brand and point of view as you put into your actual role. If you don’t know who you are, what you stand for, and what you’re good at—then no one else will. Treat people well. Both because it’s the right thing to do—and because it will define your reputation as much as your talent. Make yourself available. Ask your boss if you can work on something specific—or generally let them know that you’re eager to take on more. People tend to get what they ask for. What’s motivated you to become a mentor? Mentorship is a two-way street. I get as much out of the people that I mentor formally or informally as I hope that they get from me. And given that Viacom is a youth-oriented media company, it’s especially important to be able to learn from the younger people at the company. My advice to women who are aiming for leadership positions is to be the way. It’s important to remember that no one is going to simply give you anything in life just because you feel you deserve it. You have to possess the skill set and drive to become a leader in your industry. Learn to be indispensable, be reliable, be honest, be authentic, be the leader you want to be regardless of the title you currently have. Learn to be the way and you will be recognized. The event that sparked the desire within me to help others or “pay it forward” happened during my years at university. I was in a Sociology class during my freshman year and part of the coursework was to join a program that helped others. I decided to participate in a program that was helping young pregnant teenager girls obtain their GED. The program was in an impoverished neighborhood of Watts, Los Angeles, and located in the center of a public housing development. The girls I worked with, were tough and unkind to me initially. But, that did not scare me away. I was determined to make a positive impact and satisfied if I reached only one girl. I stayed in the program the entire semester and walked away feeling inspired. I continued working with the program throughout my college years until graduation. I haven’t stopped paying it forward since. Surround yourself with people who have skills, talents, and working styles that are different than yours, but make sure you’re all on the same mission. Always be curious, ask questions, and learn from other female leaders you respect. I am motivated by the positive impact mentors have had on my career, and that makes me want to do the same for others. Pay it forward. No one succeeds alone. Raise your hand! I say that because you never know what opportunities will lead to, and if you never volunteer, you never will. When you are building your career, take note of all the leaders around you. I learned just as much from bad leaders as I did from good ones. Knowing what kind of leader you want to be — and don’t want to be — is important. If the knowledge I have acquired can be helpful to build a bridge to the next generation of leaders, then I am happy to pass it along. And, the truth is, even if I am in the mentor role, I am always learning. I find so much value in those relationships. Work hard, believe in yourself, project confidence, and put yourself in situations where you’re always learning. I’ve been fortunate to have several different mentors throughout my career, all of whom taught me different things I know how much each of them have influenced me, and I want to pay it forward. I’ve had a mentor who was someone who believed in me so much that she elevated my own confidence in my abilities. She vouched for me and helped me get in the door at Viacom. I’ve also had a mentor who, later in my career, promoted me because he not only saw results, but really saw more potential in my future. Another mentor of mine has always set an example of managing priorities, is family-oriented, and is also a great business leader. I also look at my peers and team members as mentors, because there’s so much I continue to learn from so many of them every day.